Ana Hoffman, the founder of Traffic Generation Café, here. Are you an online business owner? Have you ever wished online marketing was an open book? Ever wonder if it’s possible to make money online without spending a small fortune? Do You Have Passion For Success? The online business industry is a perilous place…a place where many mighty business owners have fallen. I am determined to help you avoid that unfortunate fate and build a successful and profitable online business. Stick with me and driving boatloads of profitable website traffic will soon become second nature. But… by all means, don’t take my word for it. You are the smartest woman I know in the marketing industry. Andy Crestodina (OrbitMedia.com) is the smartest man. I pitched the idea of super marketing babies to Andy… haven’t heard from him since. ? Well, at least you know you’re talking to the smartest woman in the industry. Want to pick my brain for the BEST traffic generation ideas, tips, and hacks? and I'll show you how to drive a mother lode of perpetual targeted traffic to your website." Still wondering who Ana is besides the smartest woman in the marketing industry? Married for 20 years with a 10-year-old daughter… I still know how to reinvent myself to keep things interesting… just like in my business. I am not much for playing games with the family… I’d rather relax with a glass of great wine. In business, however, I am all about strategy. No place like home! From my husband’s Air Force days to our home in the Bay area, we’ve lived in eight locations all over the world… but no matter where we lived, it’s always been important for me to turn a house into a home. I always make sure to take time from the busyness of life and business to dream of the future and making the impossible possible. Whether forming a masterpiece in the garden landscape, redesigning a room in our home, or revamping a webpage, I love creating artistic canvases to live and work in. Although I completely understand the tiresome nature of menial tasks… my family laughs that this is how I exercise… but it works for me and my relentless personality to keep a clean house. Sometimes, I love to walk on the wild side – whether jumping from a plane at 18,000 feet, swimming with sharks, or ziplining across the Sierra Madre Mountains… a sense of adventure keeps me interested in the world we live in. So… who is Ana Hoffman? One of a kind, that’s for sure… ? ? ? …and get your hands on her most prized Traffic Hacks she used to propel Traffic Generation Café from non-existence to the top 18,000 global sites according to Alexa.com… in 4 months? …delivered to your inbox once or twice a week with a dash of her winning personality and her lovely Russian accent? Join at least a handful of other esteemed Traffic Hackers, plus all of Ana’s relatives. ??? See, I told ya this will be exciting! Make sure you give a shout out to Anil Agarwal! Was looking for interesting things and lo and behold I found your link! That’s awesome, Deb; thanks for letting me know! I used to follow your blog few years ago. I think it was 2012/13 maybe 14 and I love to see how much it has changed in time. Your homepage had a grey (slightly yellow) background and you had that cup of coffee logo (the same cup that you have right now in your logo but bigger). You didn’t do much of video content back then except for those PowerPoint slideshows whilst now you do not shy away from showing your face and talking to the camera. Anyway, i’d like to wish you luck in everything you do and may all your future plans work out the way you want them to. You are so right on all accounts, Dani; pleasure to welcome you back to Traffic Generation Café! And THANK YOU for the wishes; same to you, Dani. I just started my own blog and subscribing to your blog has helped me get some tips on how blogging works. It has also given me a better mental picture of the tremendous amount of competition out there with bloggers. Hopefully, I will get more tips from you and build some traffic soon. Being so new to blogging, I’m currently faced with the dilemma of deciding whether it is a good idea for me to even consider making the effort to build traffic at this point or not. The best analogy is the old ” chicken and the egg” conundrum. Having little content right now ( building content takes time right? ), any traffic I build might not be sustainable in the long run – because of the lack of content at this time. On the other hand, disregarding traffic building is likely not making good use of my time building SOME traffic, however insignificant – something is better than nothing. Time is money, isn’t it? Dear Ana, what do you think? What is the right timeframe to pursue one or the other? Is it reasonable to do both traffic building and content development in parallel or should it be sequentially? I know this question might sound silly, but I not been able to figure to decide yet. Currently, I’m just trying to build content. I have little to no knowledge of how to build traffic yet. Every time I try hard to build content, I seem to be disregarding traffic building. And here’s the first thing I’d do – change that! No one wants to do business with a Mr.DoubleU; there’s no credibility in that! Another thing I’d do is to think long and hard about narrowing down on a niche. Right now, your site is a hodgepodge of a little bit of everything. It confuses both the reader and Google. …tells me nothing about your site. ‘Learning’ could be anything. So, the point I am making is this, Tomas: focusing on how much content you have to drive traffic with is the wrong question to ask. Your site is not ready for traffic because it has no purpose and no direction. Fix that first. Then fix your existing content to reflect the new direction. Once that’s done, you can certainly start driving traffic to what you have before creating any more new content. That’s what I’d do. See how people react to what you have first. See if you need to tweak/fix anything even further. Your story is truly inspirational, I had no idea. I just thought you were a good marketer but had no idea about your backstory! Thanks for sharing your story Ana. Your blog is an awesome resources for fellow bloggers, too! I don’t know if this helps, but I noticed on your list of CommentLuv blogs, I wonder if my blog would be a good addition as I use this plug-in? Hey, Charlene – thanks for coming by! So unless you are driving actual traffic by using this plugin, I’d suggest you do the same. Ditch it. Your story is truly inspiring, love your blog very much. I started reading your resourceful articles. Glad that I found your site and I would like to appreciate your effort for making such a wonderful website. Thanks so very much, Paul – honored! Your mailing list is no longer active. I was looking forward to reading your traffic tactics without spending a fortune. My name is Darren, and I would like to discuss marketing tactics. I am very interested in making it in the online world just like you! I will hopefully be getting an auto responder soon, such as aweber. If you would like to chat that would be nice! Besides, you’re cute! Sorry about the traffic hacks – going through a site redesign and haven’t fix all the issues, including optin boxes! Thanks for letting me know though; will get on it today. I always follow your blog and I love your story. What a compliment, Mark; honored. I would love to talk to you about a tool I have created to help you sift through all your guest post blog requests. Hope to hear from you via email. Hi, Talia – feel free to respond to the email you’ll get for this comment. Hello Ana..I have been your subscriber for years and I surely appreciate your blog and I would like to promote the same to people for free who are interested.Do you have any affiliate program? Thanks so much for asking, Chandrasekaran, but no, I don’t at the moment. Sorry to know that you don’t have any affiliate program.Thanks Ana for the fastest reply I ever had. My name is (also 🙂 ) Ana and I am in charge of marketing for ucraft.com, an award winning team of designers, developers, marketers and web enthusiasts who came together to create an awesome website builder. I really enjoy reading your blog so I thought I should reach out to you because we share the same interests. I was wondering if you would be interested in writing a guest post on our blog? We have over 20k subscribers and get 45k visitors a month, who could all see your post. What do you think? Honored by your offer, Ana! A bit swamped at this time, but will definitely keep it in mind for the year to come. Thank you for running such an incredible website. I’m reaching out to see if you’d be interested in featuring an in-depth tutorial on how to get self-made sticker sets available for using in top messengers and communication apps. I guess this would be interesting for brands, illustrators, and for creative users as well. Looking forward to hearing back from you. P.S. the post about emoji marketing was trully awesome . Thank you for the offer, Gayane; however, I don’t accept guest posts from new to me authors at the moment. Additionally, as much as I might want to read the post out of personal curiosity, a topic like that won’t be a good fit for this blog. I’m trying to get in touch to contribute to your site – I produce only quality content not going to add links here for the fear of you thinking I am trying to get a cheap backlink. I;d love you look at my content and let me know – the content is well researched, in depth and will most certainly add value to your readers. It;s in the influencer marketing space btw. Hi, Werner – I do indeed need to edit my Contact page to include an actual contact form. I appreciate you making the effort to connect with me this way. Thank you for the offer; however, I don’t accept guest posts from new to me authors at the moment. PS Do love your ‘Under the influence’ category; clever! Oh you’re very wise, Ana! Not only is this post a fabulous way to get to know more about your fascinating life – it also has a dual marketing benefit. Appreciate the compliment, Keri – the obvious one in your comment (you are very observant! ), but also the compliment of taking your time to learn more about me. Honored. Dear Ana, I saw in your contact page that the best way to contact you is to leave a message here. Yesterday Google approved our innovative free Chrome Extension that discover Social Profiles behind any email address. If you find it interesting, it would be really nice if you could make a review or use the tool yourself if you find it useful. Do not hesitate to contact us if you want to talk further. Thanks, Jean; will check it out. Ana! just couldn’t find a way to contact you but maybe this is one of the ways. I’ve recently read one of your blog post of being a lousy writer [https://trafficgenerationcafe.com/write-great-blog-post/] and I’ve put together a post mentioned your article [http://lhlouis.com/seo-friendly-blog-post] along with many others professional. Hope you could drop me a link in your article! Thank you, Ana and Keep up the great work. Really appreciate the mention, Louis! 1. Might not be the best idea to ask for a link the way you did in your comment. ? 2. I found your post to be quite… SEO un-friendly. You are obviously trying very hard (too hard!) to manipulate the rankings by overusing the term ‘SEO friendly’ in your post – while teaching people how to be SEO friendly. That’s the reason I couldn’t even share your post with my followers; I’d be doing a disservice to them if I did. Sorry, Louis. I know it’s a hard pill to swallow after you’ve just linked out to me, but trust me, I say this meaning the best for you and your site. I’d love to propose you a joint venture, we are launching a new mobile marketing system to help online entrepreneur to make money and grow their business. You could be a great ambassador for us, helping to promote it. Could you be interested in? Hope for your reply soon! Checked out the business, Valeria; not exactly sure how I could help, but feel free to email me (you’ll get my email address with this comment response). Nice to e-meet you! I’m Kaitlyn, the owner of South Street & Co. a digital marketing agency and I am interested in being a contributing writer. A little bit about me: I started my business working nights, mornings and weekends until I built the foundation that I was leaving at my former company. At my former company, I was the Director of Marketing for a large dermatology group in Orlando, Florida. Over the course of the two and a half years I was there, I helped them grow from 10 to 20 offices and helped their average per month new patients jump from 225 to over 450 per month. It was a great first job and I learned how to do marketing, run a team and create results from the ground up. I now specialize in helping other businesses nation-wide with their marketing, PR and event planning. The monthly articles I would contribute would be about marketing, business, how-to guides, recommend apps to help the “normal, non-marketer,” entrepreneurialism, and so on. Please let me know what the credentials are in order to contribute as I’d love to do so. Hi, Kaitlyn – pleasure to meet you as well! I’ll respond via email. ? Hi Ana, Are you Russian? Thanks, Adsafari – honored and welcome to Traffic Generation Café! Beautiful story Anna! Really nice! Caught your interview on Leslie and could instantly relate to your professionalism and command of your subject. You also have a glowing review from Yaro Starak on your site, an exceptional man I’ve been following since his start online. I’m sold and will be following you. How come you speak English with such little accent? You almost sound like a native! Pleasure to meet you, Claude! This relationship is certainly starting off on the right foot – with compliments galore! ? ❤️ Honored, to say the least. I have an article about app store marketing which I believe would do great on your website. The app marketplace is highly profitable (and highly cluttered), which makes having it imperative to have the right marketing strategy. Please let me know if you would be interested in considering it for a blog post. I would be happy to send a draft your way. Appreciate the offer, Alexandra – not the right topic for my audience though. Welcome back, Abhishek, and thank you! Which Theme are you using for your Blog? Traffic Generation Café runs on Genesis; as to the theme itself, it was custom-coded by my web designer. Let’s see if I can help, Atul. There are a couple of ways to do it; I’ll walk you through uploading a photo. I assume you have an account on Flickr. Find the ‘Upload’ button whatever page you are on; it’s usually located somewhere in the top right corner. You’ll be given a chance to add an image title and description. That’s where you can add your anchor-text link. Click on the blue ‘Upload’ button in the top right corner, and that’s it. A truly inspiring story Ana! a great message for those who quit and commit suicide in this situation. sorrow and happiness are the part of life. appreciate your effort Ana. Thanks for taking your time to get to know me, Manju. I think I am currently in the 97% of marketers who are spending time and money trying to “make it” as you said, however after discovering about your blog I am sure I have some advantage over those who didn’t. Your short story did inspired me and reminded why I need to keep on going. Appreciate you stopping by and taking your time to learn more about me, Alexey. Writing has always been my passion. I have contributed to a number of popular blogs and wesites like Huffington Post, Business Insider and Elite Daily, to name a few. Can I send you my article? Hi, Lisa – would love to read it! Just reply to the email with my comment response. I believe there is an issue with comments on your site. Even when I check the box to confirm I’m not a spammer, it still tells me that I must check the box to confirm I’m not a spammer. I’m assuming they aren’t going through. Hi, Eric – I do appreciate you taking your time to let me know. I am hoping it was a temporary glitch of sorts. I couldn’t replicate the issue, but if it does happen again, would you please be so kind and take a screenshot? Well, thank you, Oscar; honored. All the best in your new blogging endeavor! Seriously speaking, I have come across a lot of blogs and website and I will categorically say that I am impressed with your work. You are doing a very great job. Traffic to a website has two categories which is the paid and the organic traffic. Paid Traffic has to do with paying for impressions and clicks e,g, The Google Ad-sense, Kissmetrics and others. Why the Organic traffic has to do with free flow and quality content e.g Trafficgenerator.com, Though it takes time but it has proven to be the best method of getting traffic, cause you tend to keep your fans and viewers going on even without much posting or spending your money. But you have to be consistent and have quality content to keep them coming back. Finally I will like to add that I appreciate your work ones more. I surely will recommend a lot of people here because I get a lot of answers when ever I visit. I certainly appreciate it, Owen. Hi Ana, do you have experience helping software dev companies to generate leads? However, if you tell me more via email, I’ll see if I can put you in touch with someone who might be able to help. It would describe briefly all the steps that are useful both for newbies and experts (who read your previous tips 🙂 )who want to improve their skills. Any suggestion of yours that will make the post best fit as possible for your great website is more than welcome! Do appreciate the compliment, Ana. Also, thank you for the offer; however, I don’t accept guest posts from new to me authors at the moment. Ana, I wanted to get back in touch with you – you were kind enough to spread the word about my website – Brazzlebox, the community social network for small business (www.brazzlebox.com). We updated the platform and we relaunched in March. Can we connect soon? I wanted to spread the word throughout our member base about your services and see if you could recommend ours. Glen, CEO/Founder, Brazzlebox. Glad to hear you are gaining momentum, Glen. I haven’t been on Brazzlebox since we first talked about it a whiiiiiiile ago. Feel free to email me if you have anything specific in mind. This is Zoe from Social Cloud Marketing and PR, we have went through your blogs, we would like to have the possiblity to guest posting on your website. Thank you for the offer, Zoe; however, I don’t accept guest posts from new to me authors at the moment. I have stumbled across your site and really think you have some great information here. I have tried to subscribe to both your free ebook and your news bites, but haven’t received any notifications from you. I don’t know if I am being impatient (is waiting 24 hours considered impatient these days:)??) or if there is a problem. Could you advise whether I should just shut up and wait or do…something? Not normal at all, Elleby (great name, by the way!) Sorry you had trouble, I was happy to add you to the list manually. Do let me know if you don’t start getting my emails right away. Excellent work Ana, heard you speak on James Richman Podcast “Business Mistakes” episode 17. So impressed by what you do and who you are. Thank you. Much appreciated; thanks for coming by, Read. My name is Larry Milbourne and I am Senior Freelance Academic Writing Supervisor at EssayLancers.com – the #1 community for freelance academic writers and writing agencies. Our platform unites more than 1100 members and is constantly growing. We would like to let more freelancers know about the academic writing industry and how one could benefit from it. Your website appears to be aimed at freelancers, thus I thought that it could become an excellent way of reaching a wider audience. Please let me know which option will be to your liking. Wish I could help, Larry, but freelancing is definitely not what I write about at TrafficGenerationCafe.com. I am sure you’ll easily find blogs that suit your needs a lot better than mine. I read your information re turning a blog into a video … and jumped for joy … until I hit a glitch. My PowerPoint doesn’t seem to have a File to open to access text file … only past PPP. Is it because my Windows is 2007? Would sure love to be able to do this … hopefully include pictures also. I’malso not sure how to save a slide show to video format for uploading. It would be amazing if I could. I feel your pain, Annemarie; I had to figure out how to do this on different computers a few times. It’s never pleasant or easy. I wish I could help more, but I have no experience with Windows 2007. Do let me know if you figure it out though! And sorry to have taken so long to respond, Annemarie. I left you a Google+ message a few days ago about a Domain.ME campaign that we are interested in working with you on. Did you see my message? Would love to chat with you about it. Hi, Corre; yes, I did see it, but haven’t had a chance to dig into it. I’ll do my best to respond in the next couple of days. Your website mentioned that you are looking for quality content pieces on different topics. I would be most interested in contributing to your website. My particular area of expertise is creating eBooks.I have been involved in this sector for the past 5 years and consider myself fairly well-versed if not authoritative in this field. I have outlined some topics on which I can create relevant and link worthy content material for you. Here are the topic suggestions. 2. How to Finish Your First EBook in 30 Days Flat! 3.1 EBook Success Story, And How You Can Be The Next Stephen King! 4. First Things First: How To Ignore Your Inner Editor When Writing Your EBooks’ First Draft. 5. You Can Write an EBook That They’ll Want to Read… No Kidding!! Here’s how! Please go through these topic suggestions and let me know if you would be interested in having any of these topics published on your website. I appreciate your offer, Aaron; however, this topic won’t do well on a site like Traffic Generation Café. I have a quality content for guest post on SEO topic is “Things That Your Competitors Can Teach You About SEO”. Please review my topic and let me know if you would be interested in my topics to published on your website. Thank you for the offer, Tannu; however, I don’t accept guest posts from new to me authors at the moment. I am a marketing apprentice in the UK. I am trying to sign up for your free website traffic report, however I am not receiving an email into my inbox or junk folder to confirm my subscription. What do you recommend I should do? Sorry to hear you had trouble, Alice. I did the only thing I could think of: unsubscribed and re-subscribed you. Also, whitelisting my email from your end might help. Thanks for taking your time to let me know. Anyway, we’re about to start a new calendar year and I was wondering what your business goals are. I have decided to use 2016 to focus on the build rank and profit business model. We know Pat Flynn of smartpassiveincome.com and others have had success with it. But since then a few things have changed. Regardless though a business friend of mine in Nigeria is having great success with this ‘set it up and forget’ business model and they’re all affiliate niche sites generating income with 60-90 days. I was challenged and finally decided it was time I get my own experience in this business model. And to stay motivated and provide an update to date resource on creating niche sites I am documenting my process and progress at nichesiteventure.com. Would you like to come along for the journey or maybe you want to invite your readers? It’s more interesting working together with a group on a goal. So good to hear from you, Karo! I have every now and then wonder whatever you were up to… and now I know! Niche businesses is not really something I can get passionate about, no matter how much money I could potentially make with them. That’s just the way I am. And I decided long time ago that if I don’t do something I am passionate about, I might as well get a job! Glad to hear it’s working for you though. I am sure some of my readers will check it out. Meanwhile, thanks for coming by and Happy 2016 to you! Good to hear from you too Ana! I understand you completely about being passionate about what you do online. But I hope you’re not misunderstanding what I mean by niche sites. Niche sites are mini sometimes full blown authority sites. The only difference is usually it’s in a really small niche and targeting buyers instead of information seekers. Pat’s first niche site was securityguardtraininghq.com and that site is the most complete resource in its niche. And he has gone ahead to build another one which he intended to also make a complete resource. Moreover these days with all the Google algorithm updates no one can rank a mediocre site. The secret with quickly ranking these sites is to target buyers long tail keywords with very little competition and then go crazy with content on it. So except you pick a topic you’re not passionate about it’s still the same thing you already do only in a different niche that is very audience specific. I won’t be using any black hat SEO. Or stressing myself about backlinks. But I intend to go hard on content generation, that’s how I hope to rank the site quickly. Fortunately with buyers keywords there really isn’t much to say. So I’m looking at 300-500 words for most of the articles. Easy pie. After writing a few sites with over 1000 words, sometimes over 3000 words long post, this is a change I am happy to take on. I wish us all the best this 2016. As usual I’ll be following your updates. Yes, I knew exactly what kind of niche site building you were referring to, Karo. Look forward to hearing about your successes with this new direction! This is Nathan.I came across your blog and want to make some guest contribution in your blog.I will be happy to have a link return. Thank you for the offer, Nathan; however, I don’t accept guest posts from new to me authors at the moment. I really love your detailed interesting bio explained from the scratch.I subscribed for your traffic generation hacks..Looking further to learn many traffic and content marketing hacks..Ana can you please write an article on ways to promote an online course promotion. It’s not exactly my direct area of expertise, but I’d say start writing posts on the subject of your online course with a link back and publish those posts where your target audience might be. I just wanted to thank you for the fantastic insights you shared during our recent interview. I couldn’t have asked for more from the great responses you gave to the many questions asked! I also learned a huge amount personally. I absolutely love your blog by the way! Had a blast, Sean, and thank you! I’m Harlon, and I work for Adpushup.com – it’s like Optimizely, but for display ads. We’ve already been featured in VentureBeat, TechCrunch, Entrepreneur and more. Anyway, we’ve been very active with our blogging efforts these past few months (you can check out our blog if you’re interested), where we mostly focus on advanced topics for conversion optimization, web psychology, blogging, and display advertising. I’ve just thought that your site would be the best place for us to contribute our expertise on a regular basis. Let me know if this works for you. I do appreciated the offer, Harlon; however, I am not currently seeking any new-to-me guest authors. Ana, what a beautiful family you have! I love the content in your blog, and I was very happy to subscribe to your community. Looking forward to contribute in anyway I can. I would love to subscribe, but twice I have and have not received the link in the email. I do not think I misspelled my address twice;) Oh yes I am a real person. Not sure why, Ernest, but I added you to the list. You should start getting my emails shortly. Hi ana , i my self devoted my life to Jesus Christ 2 🙂 . Did you learn english while living in Russia or US , i ask this because im struggling to decide if i should start my blog in spanish (my native language ) or english. It could be easier for me to write in spanish,(like for you maybe in russian) but i think in english i could have more reach . Can you give me your thoughts on this subject maybe a personal opinión on how this was for you. PS. you can reply to my email if it makes it easier. That’s a great question, Isaac. Personally, I didn’t get to learn English until college. However, in college, English As a Second Language was my major, so I had a lot of practice. I also started interpreting for American missionaries in Russia; that’s how I became a Christian. I think that’s the key. It’s hard enough to earn respect when blogging; it’s extremely hard to earn respect when blogging in your second language. A lot more things stack up against you. If you are confident you’ve got what it takes, I’d say go for it. I happened to run across your site today and really like your work. If you don’t mind, I’d like to chat when you have some free time. Shoot me an email when you get a chance. Thanks for letting me know, Pat. We are coming up with a kickstarter campaign for a tool that can help bloggers to develop, manage and market the website in a better way. Your articles are amazing and relate to what we are trying to do over here. It would be great if you could share your email address and we could talk about this. Feel free to email me when you get my reply to your comment, Manik. Thank you for the offer, John; however, I don’t accept guest posts from new to me authors at the moment. I see that you are getting a lot of different requests for guest posts. I have a different offer for you. I have been thinking of starting up a new site to help blogs get started by guest posting, but to get the site started, I first need people who are interested in posting on the site. As a blogger yourself, I am sure you understand how this cycle works! So, my offer is for you to write a guest post for me. You will get full credit and a bio, with a link your site, and your social media sites. If I have enough bloggers interested I will set up the site, but I am just doing research for now. Please let me know if you are interested. Thank you for your time! I do appreciate the offer, Cassie, but really don’t have the time to write for another blog, especially a brand-new one. All the best with your endeavor! I would love to be able to possibly earn the chance of writing a post for you. Would you be wiling to give me your email address please to discuss this further? I do appreciate the offer, Lucy; however, I don’t accept guest posts from new to me authors at the moment. Some really great info you have here on your site – useful, actionable tips. I’d love to do a video interview with you for my site Shotkit. As photographers, bringing traffic to our websites is very important, and I’m sure many of our visitors (currently around 4k uniques per day) would love what you have to say. Sure, Mark; I’ll send you an email. Very kind of you, Ricky. Look forward to seeing you around! Where did you learn this stuff ? Its excellent. My Russian wife takes this as further proof that Russian people are as smart as can be. And, once again, your Russian wife is absolutely right. Thanks for your handy tips, I tweeted out this week’s Marketing Skinny today. I wanted to ask your advice – I have 2 Google+ accounts. One is attached to my private Gmail address, the other is attached to a Gmail address that I set up purely for a YouTube channel. (I was told to separate business stuff and personal). People who try to add me on Google+ always go for the account attached to the private email. End result – I haven’t used Google+ as I’m not sure whether to build up the biz-connected account, or just forget the advice and use my personal one. Good question, Brynn. Let me do some research/thinking and I’ll get back with you. Good question… might be easier to create another private account and use this one for business at this point. Curious to know what you do; keep me updated, Brynn. Hey Ana. I am interested in guest posting “How To Find Free Mormon/Christian Movies Online” or “How To Find Free Family Movies Online” or something along those lines. I have 3 websites so. Let me know what I am supposed to do. By the way, great blog! I’d suggest finding sites that might be interested in what you have to say and approaching them about guest posting, David. Sweet; thanks so much for letting me know, Chris, and of course, for honoring me with a mention. Would love to hear what suggestions you have for me. Thanks for share your information. I am very interest about your story. Thanks for coming by, Bizzaviet. Can you tell me how you created the video on the left side? The trailer. I actually outsourced that video on Fiverr; it’s amazing what $5 could buy us! Just checked – the guy hasn’t been active on Fiverr for a couple of years now. As soon as I arrived at your blog the name “Ana Hoffman” rang a bell. As online marketers we do come across many people but everyone can’t leave a footprint. Awesome blog and nice writing style. Very kind of you to let me know, Farhan. Hi Ana!..,Can you help me incease traffic in all my post.How to start really.The thing I have as tutorial is the Internet Marketing Mastermind Alliance but I don’t know how to get in to make it “Go Viral”..Im from Philippines,can you guide me more and send me free traffic in all my posts? This is not something I can respond to in a comment, Arnold – driving traffic is all I talk about at Traffic Generation Café, so reading my posts would be your best bet. Glad to find your blog. Have just joined you. Clever blog name, by the way. If you don’t mind a suggestion: I’d love to see a tagline that describes what your blog is about to your visitors. Otherwise, we have to look around first to figure it out and many won’t be willing to do it. So glad you are here, Sharisse – look forward to seeing your blog grow! Hi Ana – I tried following your tips on how to get high pr tumblr pages to give you dofollow links back to your original website. I can not attach my current website url (which is my main website) to the tumblr blog I chose: costa-rica-surf-camo.tumblr.com . Secondly – when I reblog anything – I check, and all my reblogs are nofollow. Has something changed since you made the video? I think we’ve already talked about this on G+, Amanda, but just in case others are reading this comment and are wondering about the same thing: yes, it appears that Tumblr has changed quite a few things since I wrote that post. It’s on my list to be updated. Also, considering all the latest Google algorithm changes, even if Tumblr strategy did still work, I wouldn’t have recommended using it. Easy links might very well land you in Google penalty box. First, just want to say I’m loving the TGC blog. So much actionable content. Great stuff! If you could only choose 3 tools to grow your email list, which 3 would you choose? It should be a great roundup. Many of your peers, including Brian Dean, Matthew Woodward, Jason Acidre, Matthew Barby and Noah Kagan have already contributed. Sorry didn’t see your comment in time for the post, Robbie. Thanks for thinking of me though! I recently heard your interview with John Lee Dumas on EOFire and wanted to thank you for sharing tom great insight. You provided some great resources that I hope to utilize to help boost the traffic to my recently launched website fishingdad.com. If there is anything I can help you with, even getting an opinion from an “average Joe” on something, please do not hesitate to email me. Thanks for listening to the podcast and coming by Traffic Generation Café, Brian. Hope to see more of you around. I’m trying to signup for your newsletter, but the email is not arriving. I’ve checked my bulk folder, spam folder, and main inbox. When I try to signup again, Aweber is telling me that I haven’t confirmed yet. Can you signup my email manually perhaps? Not sure what the hiccup was, David – I added you manually. Let me know if you don’t start seeing emails. Just remembered your site and came back to check it out again. Realized that I haven’t been receiving emails even after the manual add. Would love to get the juicy bits of content you post 🙂 Would you mind checking one more time? There’s a chance it hit my junk folder and has since been deleted. In which case, it may have been scrubbed out of your list already. No response or reasons given after repeated request attempts. Does Slideshare track IP addresses? I will change my name, use an alias, change computers – whatever it takes. Any help greatly appreciated. PS: Love you site and enjoy following you. Always enjoy your insights & strategies – many of which I have implemented with excellent results! Keep up the good work! Sorry to hear you are going through this, Mark; their lack of response is very frustrating. When my account was suspended, I was able to create another one without a problem. I believe I did it through “Connect with Facebook” option. In the end, Slideshare did reinstate my account and I simply deleted the new one, but if that doesn’t work for you, try the FB route. Hello Ana, nice to be on your blog. I feel so happy knowing that you are a follower of Jesus and also doing an amazing work on the internet. Thank you very much, Phillip; have a blessed week. Hi Anna. I have been a subscriber for some time now and love your weekly marketing skinny, but I have one small complaint. Actually, it’s not so much a complaint that pointing out something suspect in unintentional, but frustrating. I understand that you use your free traffic report as a list building tool. Just common sense really, but when someone like me who is already a subscriber trys to download it (please enter your email here) all we get is “You are already a subscriber.” No download access. In other words the link does not really provide what it says does it. I encountered this problem myself and simply made sure the link was on the “You are already a subscriber” page, but I also put something along the line of, “Since you are already a subscriber, here is the download, but would you also like … while you are interested?” Basically I used it as an on-sell opportunity and stopped it being a turnoff. In the mean time, I wouldn’t mind getting a copy if I could? Very good point, Greg; I’ll take a look at my “already subscribed” page. The report is on its way via email; let me know if you don’t get it. your link for reading more of the post “202 bite-size tips to insanely increase your blog traffic” is bad. Thanks for the heads-up, Uwe; however, I couldn’t find the link. Could you be more specific where you saw it? lovely pics of you and yours! Pleasure to meet you, Phil. been following you and am on your “traffic hack” list. and sign up again with the correct email address. content and help a lot of people, including me. I wanted others to know about you and your blog. I’ve been a bit behind on my emails, Geri – life took over for a couple of months, but hope you signed up with the new address; I’ll start sending out my valuable Marketing Skinnies, etc. this week. And thanks so much for the mention; I am truly honored! I can’t tell you what joy it brought to my heart to read your Christian testimony. I, too, was in the US Air Force – a weather forecaster, in the UK. I learn so much from you and wonder how you find the time to raise a beautiful little girl (who loves chocolate) and still have time to teach us so much about the Internet. You must have an incredible game plan! Very honored you stopped by to learn more about me, Bruce; hope to see more of you around Traffic Generation Café and may you have a very blessed new year to come! Way cool! I’m a Christian too! I think you’re the first Christian Internet marketer I’ve ever met – it’s awesome to know you. And you as well, JR; have a blessed new year to come! Hi Ana, great blog you’re running here! Jack Humphrey recommended your site. Do you have a resource, guide, checklist or recommendation on “How to build a blog or Authority Site right from the beginning”? – before I start with traffic generation. Thanks for coming by, Roland, and sorry for the late reply. If you are asking about setting up a site correctly with the best design ready to receive and grow readership, no, I don’t. My Traffic Guide (the one I give out in the sidebar) will teach you everything about traffic even for a brand-new site though.  Welcome to Traffic Generation Café! Beautiful story Anna! Really nice! And what a surprise… you are from Russia. It’s cold there! 🙂 I have a Russian friend who told me a lot of interesting things about the influence of the weather on his live. I am from Brazil and I think I went through something similar about being unemployed and trying to figure out how to make money on the internet. It’s not easy at the beginning but for sure it is one of the more rewarding things I’ve ever did. I think for you it goes the same way. Well, I’ve been busy with my link building but now I think I can visit your blog more frequently. Welcome to Traffic Generation Café, Lipe! First and foremost, nice work on the Traffic Generation Cafe blog. We love what you’re doing, and your posts were engrossing. We’ve been reviewing literally hundreds of marketing blogs, and we hand-picked yours as one that we thought would be a perfect fit with what we’re doing. You can rest easy that we’re not here to ask you to review our latest innovation in gluten-free energy bars or wipe-warming technology. We actually don’t even make those things. What we do make is Haiku Deck, a new free app that makes it incredibly easy to illustrate a blog post with style. Images are one of the best ways to engage readers, and with Haiku Deck you can create killer slideshows like this one (my story in Haiku Deck form), in no time flat. Would you be game for giving the app a try on your blog and letting us know what you think? We would be honored to have you as part of our creative community, and we’d truly value your feedback. I can get you started with everything you need and set you up with a premium theme — just let me know if we can count you in. You can reply directly to me or sign up for our blog club here (it’ll take less time than choosing a karaoke song, promise). P.S. If in fact you are already using Haiku Deck, Hai-5! I’d love to see what you’ve created with it and hear any feedback you have about the app. It looks interesting, Erin, and it looks like you are testing the web version as well, right? I am in love with my laptop and doing anything on iPad would be like learning a whole new device. Would love to give Haiku Deck a shot. Sorry for the delay in getting back to you, somehow your reply flew right past my inbox into a spam filter and I only just noticed it. Oops! You’re right, we are testing out the web version right now – if you’d like an invite to the web app, just let me know by emailing me directly and I’ll shoot you the invite link. It’s currently in private beta, otherwise I’d post the link publicly. You can also sign up for the waiting list by going to haikudeck.com and clicking the link in the top right corner of the page that says Try Haiku Deck; I process those wait list responses weekly and at the most you’d be waiting for a week before you heard back. Thanks, and let me know if you have any questions! Thanks for clarification, Erin. I did request to join your beta testing; hopefully, will have the access soon. Ana, I enjoy your blog and thought I would check out your about page because I am in the process of updating my about page. I had no idea you were from Russia. I am curious, did you learn English in school or did you learn it once you were in the States? I am a Christian missionary living in Germany. I’ve been here for 3 years and I am still working on the German language. Thanks for all your hard work on your inspiring site! I learned English in college, David; a lot of it came together for me once I moved to the States. Where in Germany are you? We lived in Kaiserslautern; really loved the area. Tried to learn German, but most Germans just wanted to practice their English with us. Always a pleasure to meet a Christian brother and a missionary at that. Just wanted to let you know I became a Christian because someone in the U.S. put their own lives on hold to come to witness to people in Russia. I am forever grateful. Hi Ana, I totally enjoy your posts in Google+ and I’d love to write a guest article on Content SEO for your blog, Traffic Generation Cafe. I have one ready. My new site is ready, self coded in Dreamweaver. Google accepts it. Chat later on G+ where I did leave a Hangouts pm in text. Bye! Thanks for following me to Traffic Generation Café, Geoff. Thanks for the offer of a guest post too, but I don’t currently accept posts; I’ll let you know if it ever changes. FYI, just wanted to point out that in your footer, the new site is on the Genesis framework, but on your Rolodex page, it says it’s on Thesis. Both great frameworks, have used them both. Just another thing I need to change since moving to the new hosting/theme/design… Thanks for the reminder, Gust; added it to the list. Why is it that every optin box like optin skins almost forces you to have two entry forms (NAME & EMAIL). Isn’t it hurt conversions with conceivably no benefit. I’ve been trying to find a solution that is just a simple put your email here. Doesn’t look like trash, is mobile responsive, and will let me target categories for inline posts for targeting. Does http://www.wpsubscribers.com/ have options for single entry (not asking for names), is mobile responsive, and can target where it shows up? Or anyone else for that matter? I think Optin Skins is just about the only plugin I know of that forces you to have both fields; that’s the primary reason I didn’t like it when testing it. I suggest to try Hybrid Connect; it might be the answer you are looking for. I’m checking it out right now. I’m also going to check out WP-sharely! I even googled your affiliate link just @#)*! )@#*@ because I can. I’m in the midst of building a site and while I can’t get EVERYTHING perfect from the get go I really don’t see the point of getting a lot of traffic if the website is going to be a leaky bucket. Deciding how I want it to flow, finding out my unique selling proposition, ect. Still I’ve been reading a lot of your stuff and finding it VERY insightful and I’ve noticed you seem to practice everything you preach…how you do it all I HAVE NO #)*$@#) clue. BTW: I didn’t know if you were aware of this but you have two broken links on your facebook page. Its at the very top of your page. SEO traffic & Social Media Traffic links go to a 404 Page. Ahhh, yet another thing I need to fix after moving to a new hosting service… Thanks for letting me know; totally forgot about them! I like your jokes… you can come back and flatter me anytime! I happened to come across your site…(Awesome site by the way) and I was wondering if you sell solo ads in regards to your mailing list. Based on the content and subject matter of your product, the product I have to advertise would be a great match for your subscriber list. If you are interested please see contact details below and I look forward to speaking with you in the future. Kind of you to ask, but I don’t offer solo ads to my list at this time, Matt. I tried to reply your email but it bounced. Thank you very much for your input. Yes I would love for you to send us a SEO recommendation. We have a tagline and is at the bottom of the page. MBJ Ranch Online – The Internet Mall for City Slickers to Cowboys! I will ask our designer to make it more visible. ZOOM, ebay, amazon are names that were not popular before they started. It’s matter of marketing and time. Thank you very much for your time and I always appreciate your suggestion. Thanks for the reminder, Marcos – I need to change my email settings after the recent move to new hosting. ZOOM, ebay, amazon are memorable and roll off your tongue; MBJ Ranch Online not so much. I see a lot of products for women on your site; plus they are the ones who shot the most, let’s face it. So why is your tagline all about men? It will turn away women before you know it. Please contact Gerald Weber from http://sem-group.net/contact-search-engine-marketing-group/; let him know I sent you. He’s excellent at SEO and can also make user-friendly suggestions for your site. And I always enjoy seeing you at Traffic Generation Café, Peter! It’s true, the only time I stepped on the African continent was Morocco. My daughter has to grow up a bit before we start traveling across the world again. – You don’t have a brand. MBJ RANCH ONLINE sounds obscure, doesn’t tell me who you are or what you are about. – You don’t have a tagline to tell me what your site is about. I need something that catches my eye right away to make me want to stay. – You don’t have specialization. How can you possibly sell everything under the sun? Makes me question your credibility. If you want help with SEO, I can recommend the person I work with; feel free to respond to my notification of comment reply in your inbox. Much appreciated, Bruce; you are welcome to stop by for my dose of dry Russian humor anytime! I found your website when I googled what is a trackback. Your article on trackbacks vs pingbacks was wonderful. I looked through your site, and I have to say I’m hooked. You have some terrific information. Your story really touched me. My husband and I both lost our jobs at a truck plant and were unemployed for a year as well. School, jobs and illness finally pushed me in the direction of blogging. I’m happy to say that I am doing what I love and have done well with the blog and as a freelance writer. I truly appreciate the compliment of your visit and your comment, Wendy; all the best to your family and hope to see more of you around Traffic Generation Café. Your story is inspiring! I “tripped” across your site while searching for YouTube optimization and I am so glad I landed on your site. GREAT information here – and I respect your faith in Christ. Will be back often! Much appreciated, Mariane; hope to see you around. Wow! Am I ever impressed? Spend a lot time researching, learning and implementing strategies and tools to help me build a larger online audience. It is sooooo refreshing to find a genuine ‘shoot from the hip’ (*compliment*) marketer. Love your friendly, in your face style. I’ve subscribed to your newsletter. From now on I know my job will be easier. The knowledge you bring as well as those you recommend is simply superb! Muchas gracias por exponer la verdad en cuanto a online marketing se refiere. Un millon de gracias Ana. It is fantastic to find people like yourself who have stuck through the hard times and made it through to the other side. Goals play a big part in giving you the determination to stick at it when your results are yet to come in don’t they? Could I ask what was your biggest challenge when starting out? And what is the main piece of information that turned your internet fortune around? My biggest challenge when I first started was not really know how to get to my goals. Since I, like all of us at some point, had to learn the business from scratch, having no clear direction in the beginning slowed me down quite a bit. On the bright side, when something is not working, all we need to do is to be willing to learn how to make it work, i.e. it’s entirely under our control. Or would I be able to put the form on my basic eBay. It’s been a while since I looked into Ebay traffic generation, Malcolm, and I am not planning on revisiting that one at the moment. You might have to figure it out on your own. Want to read more from you! I’ve heard about your site for a while 2 months back and wondering your way of engaging with readers and one thing I must say about the layout of the site is that you always love to keep your blog with crystal clear layout that I really Like it. First time I checked your about page and it makes me impressed, my wishes to your kid and I wish you to grow with more readers in this traffic generation planet. Very kind of you, Matthew; all the best. Love your blog Ana, you really are an inspiration. When I read what you write I feel like you are on the pulling end of the life rope that is success online. Thank you for that. My name is Clay and I would like to write a non-promotional article for your site that I believe falls in line with your content and readership interests. type article that provides advice. I would want a link back in the biography to Local Splash, the SEO company I work for, but it wouldn’t be on keywords and would only go to a inc. profile that doesn’t sell anything. Mainly just for writer exposure. Let me know if you’re interested at all, or if I can send some writing samples to you! Thanks for the time, I appreciate it. I am sorry, Clay; I don’t currently accept guest posts from new authors. No worries! Thanks for your time! I was wanting to chat or message you about possibly reviewing my book, but can’t seem to find your email or personal message area anywhere. I have followed your posts for quite some time now and would absolutely love if you could give us some insight on what you thought our book. I’d love to, Lexie, but with my very limited time, I simply won’t be able to read a book any time soon; sorry. Also, the word “books” is misspelled in your header on your site. Ana, I am learning alot through your site. However, I don’t see anything for us fiction writers. Myself, I write quality fiction (I think, at least), but I don’t write informational ebooks about writing just yet. And I don’t have any other informational expertise I can think of. What do you advise for promoting us fiction writers? Now that I’ve been in this business for a while, Kate, I can say with a certain degree of certainty that traffic generation strategies/possibilities are pretty much the same for most niches. It comes down to HOW you apply them to YOUR specific niche is what will make the ultimate difference. As you can imagine, I can’t write for every niche specifically. And even if I could, I wouldn’t, because I believe that no one can teach us what’s best for our businesses. It’s up to each of us to figure it out on our own. One thing that will apply for all types of writers, is twitter adder and multiple accounts. That will help, I ‘m sure. True, even though Tweet Adder has recently changed quite a bit. How refreshing! It’s so good to meet one of the “good guys,” or in this case, “good girls.” Honesty, integrity, quality information; count me in on learning everything I can from someone like you. Thanks! Thanks, Dave; look forward to seeing you around. New to your blog, took notice of whom have given you a testimonial about your blog one being Yaro …hummmm wow if he tips his hat off to you that makes a statement, he is someone in the blogging world that is well known and successful at making money from his blog. And not, I don’t currently provide any consulting services. Just a quick note to see if you would be interested in a guest blogger for Traffic Generation Cafe. – Is behavioural targeting by online stores invasion of privacy? Please let me know if you would be happy to consider a guest post from me at no charge and I will send it over for review. I also share all of my guest posts on my social profiles (970 followers on Twitter) in order to drive more readers to your site. Look forward to hearing from you, please feel free to send over any questions you may have. Thanks for the offer, Carlo. Even though they sound like interesting topics, they are not at all on target with what I write about at Traffic Generation Café. Each post is better than the one before it. I’m enjoying your insights into free traffic, and I’m already beginning to implement. Thanks so much for the advice at the bottom of your report to focus on one at a time. What would you say made that turning point happen for you? Do you write about this elsewhere? If it’s too nosy no problem, I just hoped to hear more about when exactly you ‘turned the corner’ and knew that you were figuring it out. I think I’m nearing that right now myself and would appreciate some perspective. There’s no “system” to build a successful business. There’s no “one size fits all”. No one can truly teach us how to build OUR businesses. When I first started, I had no idea what standing out from the crowd truly meant. I thought I just needed to shout louder than everyone else to be heard. It’s only when I realized that it wasn’t in the knowledge per se, but rather applying that knowledge to MY business was what made the difference. Taking what you know and giving it a fresh spin. Making it truly yours. Not sure if that makes sense, Kurt. This is really something that you need to find in your gut. It can’t be taught. Thanks for the verse; always a great pleasure to meet a brother in Christ! PS Stopped by your blog; love your writing! I think I get it Ana. By sharing too much of your story, maybe someone will think it has to happen for THEM exactly the same as it happened for YOU. So you don’t go into details that may not help the individual reader. I’m going to take your advice and absorb what you and the few other quality voices in this space are saying… then make it mine. I’ve decided to focus on one thing at a time in the traffic gettin’ game due to your advice. Right now, Twitter… later Slideshare… very soon you might be lookin’ at my first twenty bestsellers on Kindle 😉 Thanks again for the encouragement. I love your work and your style, and here’s an idea for you – create tutorials, webinars etc. about achieving the ATMOSPHERE of the site that you’ve managed to achieve! I’m using internet a lot and I can tell you that only a handful of sites have this same, laid back atmosphere that makes the reading experience so pleasurable. Good job! Now, I’ve found those free vector pics – the subject is coffee – and no, this is not my site or anything like that, it’s just something I’ve found and thought that you might like. Great idea, Nikola, and thanks for the amazing resource of coffee images! First of all lemme tell you, i am impressed by your articles, the way it is written, the simplicity the magic, everything. I would definitely contact you to talk more and learn. Hi Ana, how’s it going? Not at the moment, Dina, but thanks for thinking of me! I am a college student with a class assignment of starting an online business using affiliate links. 6 in the class and this is for the class grade. We are putting together a webpage and blog. None of us have experience in the web much less the blogosphere so challenges await. What I’d recommend you do is to find a resource that will walk you through all steps of building a blog from scratch. I really liked your “give a me a like to decode the download’ I have never seen that done before anywhere – what a juicy trick – I wanna know how to do it on my sites (all WordPress/Thesis/Marketers Delight based). I already have the auto like buttons etc to get Twitter/FB stuff, and all my sites offer free high-value downloads). I assume you are talking about WP Sharely, Dave: https://trafficgenerationcafe.com/loves/wp-sharely/. Definitely two thumbs up from me. HI Ana! I’ve been trying to reach out to you but can’t find an email.. not on FB not on Twitter or on your website.. Id like to email you if i could. You can send me a message via FB at my FB fan page, Ellie. I’ve been following your blog for a long time and we chatted on the email a year ago. I was kinda stuck and i thought who might be able to help me and one day just popped into my head: Ana. I want to launch an eBook for a fashion & lifestyle blog of mine, i have the entire text written, pictures, researches and everything, but i don’t know how to design it to look cool. I don’t know where to look for people who can do that and i hope you might have an answer for this one. I don’t like to make my covers complicated either. – do a google search for free ebook templates. What a fascinating story!! I have been following you for a little time now but only stumbled across your story this afternoon because I wanted to email you about something that has been troubling me. I sensed from the very start that you know your subject, but more importantly, you speak from the heart and that is why I have always listened with both ears unplugged. It was in this vein that I have been studying Danny Iny’s ABM after buying through your link. However, your recent post (and recommendation of) Ryan Deiss seems to be a major contradiction of Danny’s credo. Ok, Danny does mention inviting “well known others” to post on one’s own blog, but it is a minor part (and somewhat downplayed) part of his strategy. It’s difficult to resist the conclusion that Ryan considers the major thrust of Danny’s strategy to be a misleading waste of time. Now please don’t think that I am complaining because I’m not, but I would like you to shine a little beam of clarity on this for me. I can accept a difference of emphasis, but they cannot both be right. Thanks for coming by this page and learning more about me, John. I completely understand where you come from with your question (and thanks so much for getting Danny’s ABM through my link!). Here’s the thing: for Traffic Generation Café, I’d use what Danny teaches in ABM. I want to build a couple of other sites in other niches, where I won’t be able to spend much time (most of my day is spent working on Traffic Generation Café, as you can imagine), but I still want to develop quality authority presence in that niche; not just slap a few aff products hoping to make a quick buck. That’s where Ryan Deiss’s course (Authority ROI) comes in. Two entirely different approaches, but also two entirely different business models. And yes, I was wondering why your site was about visiting Ukraine; now it makes sense! Dear Ana, Cheers on the blog! Is there any way to contact you through email? I recently started a project for bloggers and would love to run a few ideas by you! Yes, Pati; you can email me at meetanahoffman [at] gmail. Thanks! Ill contact you soon. Just saw your blog and wanted to suggest a new free traffic analysis tool that you might like to review/ share with your followers. Pretty cool and easy way to find out where your competitors are getting their traffic from. This probably wasn’t the best place to let me know about your site, Daniel, but since you asked: it looks like the stats are not all too accurate. As I analyzed TGC, most of the stats were completely opposite of what I know from Google Analytics or even sites like Alexa. Just mere fact that apparently FriendFeed is my number 2 social media source…. Hi Ana, Love your posts! I don’t know if you read or not, but if you’re interested, I wrote a Christian fiction book you might like if you’re into reading for enjoyment. Check out the “books” tab on my wordpress site, or you can drop me a line. I know you’re probably too busy for such things, so I’ll understand if you’re not interested. Thanks for all you do!! Hi, Ana! Just found your blog and am already following you on Twitter as well as looking forward to receiving your next post by e-mail 🙂 Simply loved your spirit and your content! BTW, I was born in communist Bulgaria, so I know exactly what you’ve been through… Talk soon! Much appreciated, Ben, and welcome! Hi Ana, I’ve been a reader of your blog for some time time now and I’d just like to say that your website is looking great. You always have something of interest to say. And this is the first time I too have read your about me page. Very interesting life you have had so far. I am in MLM and thought I’d never get involved in it, but this one is actually the real deal. You have my details if you are interested contact me, you wont be sorry. Hey delete this post or at least edit it. I am glad it’s working for you, Allan. I stumbled across your site by pure chance and have found your story and your knowledge a real blessing! I am a single father of 5 trying to make a better life for myself and family. Although I have been marketing “Offline” for over 20yrs, my journey with Internet Marketing has only just begun, so I find myself starting ALL OVER! It’s refreshing to meet and connect with other ethical marketers like yourself and it inspires me to start out as I mean to go on, by being open and honest about my journey despite my 20 years of experience in the offline world. Im not about to “Big it up” when it comes to marketing and blag my way to success. My experience in the offline world means very little when it comes to marketing online and so my goal is to connect with like minded people, build relationships and share my journey! I am excited about the road ahead and hope I can share the knowledge I gain to help other people along the way as I build my new business! Glad to have met you through your fantastic blog! Much appreciate, Andy, and so glad you found my blog. Look forward to seeing you around and hearing about your progress. Thanks for putting your about page in one of your blog posts. I hardly ever check out people’s about pages though I realized that mine get quite some traffic. The part that caught me is where you state that you dedicated your life to Jesus Christ. That’s the best decision ever. Hi Ana! It’s good to meet a fellow blogger and believer! Thanks for sharing your story and imparting your wisdom. God bless! Have a blessed weekend, Tom, and thanks for coming by! Out of all the times I’ve been to your blog, this is my first visit to your About page. I think there’s an important lesson in your story, one that is very common but get often gets lost in all the “white noise” on the internet. There’s really no such thing as an instant success in business, particularly online. Whenever you see uber successful blogs, there’s usually a story of great trial and tribulation behind it that the fans tend to forget about rather quickly. That being said, anybody who’s willing to put in the time, effort, blood, sweat, and tears can be successful. They just have to put in ALL of the work that’s involved. Clearly you’ve done that and you’ve become one of the go-to experts in your niche, and you have a great story to tell because of it all. Thank you for sharing your story here. It’s stories such as these that remind me that it can (and will) happen for me, too. I just have to be willing to put in the time, pay my dues, learn my lessons, and take my journey. When I do I will have the opportunity to tell my story, too. Thank you so much, Barry, and you are right: we all have to start from zero. I came across your site and think I remember stumbling across it a while back as well. It was great reading your story and good to hear that God has blessed you with the wisdom to succeed. Much appreciated, Steve. Look forward to seeing you around more often. Hey Ana! Hope you noticed we were both mentioned in a “Top 10 bloggers for 2013” list. Just thinking it’d be awesome to work together on something blog related in the New Year. Happy New Years! Thanks for the link, Greg; just got back from your site, by the way. Thanks for pointing it out Greg! Wow Ana, I’ve been reading TGC from quite sometime, but It’s my first time I’m reading your About page. I love everything about your blog, the design, content and EVERYTHING. Keep rocking, looking forward to read more. I am loving the new design and I’ve been away from your blog for a while (unlucky me). this is the best knowledge source about internet. I appreciate your giving without hesitation. By the way, I am from Bulgaria. And, of course, I speak Russian. Great article about yourself. Much enjoyed it. Here is a question that you have probably seen one million + times but I am new to your site, today is my first day, so I will ask it anyway. I also have been without a job for 4 months now and I am in the process of losing my things and have become a regular at the local pawn shop. So my question is this, Since you have been where I am in the past and you now know what you did not know at the time of NO MONEY, what would be the easiest and fastest way to start making money NOW? I mean forgot the long term for a minute and please give me your best advice for NOW and later down the road. Thank you so much and God bless you. I don’t really know of any quick ways to make money online, Terry, but I know plenty of other blogs write about that. Great blog. I am new here but plan to read it all. I am now following you on Facebook as well. Thanks for the thumbs up, Chris; look forward to seeing you around. I really appreciate your authenticity and writing style. Your blog is awesome.